Your attendees look forward to a variety of things when they attend your event. They’re excited to learn new information, explore your venue, listen to engaging speakers, and check out cool products and services. Whether it’s for personal or professional reasons, your attendees want to meet other people with common interests and improve their network of friends and peers. Unfortunately, networking can be awkward. It’s difficult for many of your attendees to approach a stranger or even know who they should try to meet. As a planner, you can add value to your attendees’ experiences when you make it easier for them to meet other people. Event apps can help you drive networking and create a relaxed atmosphere for your app users. 1. Attendee Profiles – Do you ever wish you knew more about someone before you approached them at an event? Better yet, would you like for them to know something about you so you can avoid the clumsy process of explaining yourself to a potential connection? Your attendees feel the same way. 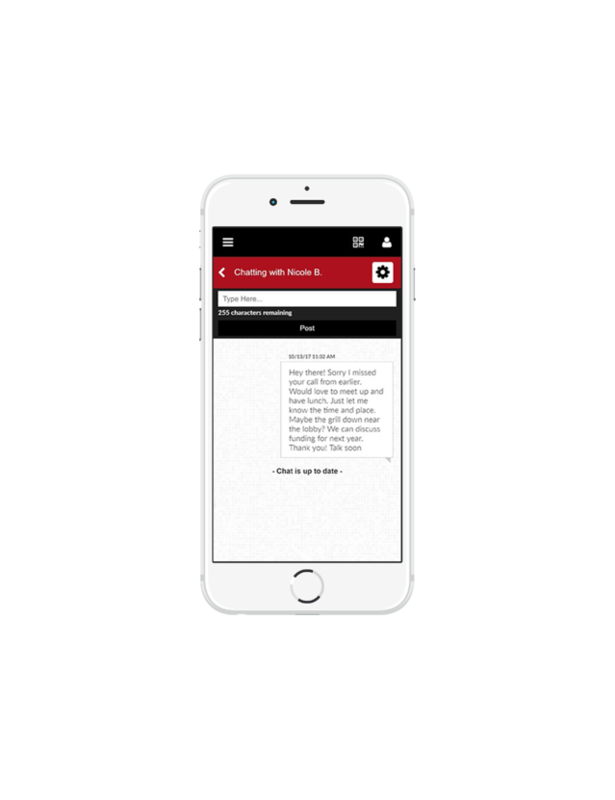 Mobile meeting apps offer public profile features to help attendees learn about their potential connections, as well as share information about themselves. Users can feel like they already know each other before they ever meet in person. 2. QR Code Contact Sharing – Exchanging information with a networking connection can be time-consuming and inaccurate. If your attendees misspell a name or input the wrong contact info, it can lead to missed opportunities or embarrassing mistakes. Attendee event apps make it easy to swap user details. Attendees can scan each other’s QR codes, instantly share their contact information, and promote future conversations. 3. In-App Messaging – Now that your attendees have made great connections and exchanged contact information, what’s next? If you aren’t using a mobile app for your event, your attendees may have to wait and email their new connections or decide whether it’s appropriate or not to text them. Mobile apps for conferences make it easy for connections to stay in touch with each other during your event. When your attendees notice topics of interest they’d like to share with a new connection, your event app users can send messages using the in-app direct messaging feature. Attendees can send messages user-to-user, or to multiple users in a group chat. This event-related messaging helps to keep the communication informal and facilitate continued conversation. 4. Gamification – Event app gamification serves a variety of purposes. One of those purposes is to facilitate networking and encourage attendees to connect with each other. Networking only happens when both parties are engaged. Gamification activities allow you to set up targets or reward points for connecting with other users. Mobile event apps drive your attendees to reach out to one another and form new relationships. 5. Attendee Matchmaking – It’s hard for your event attendees to know who to approach, even when they have access to event profiles. That is unless you’re using an advanced event app feature like MeetingPlay’s attendee matchmaking. 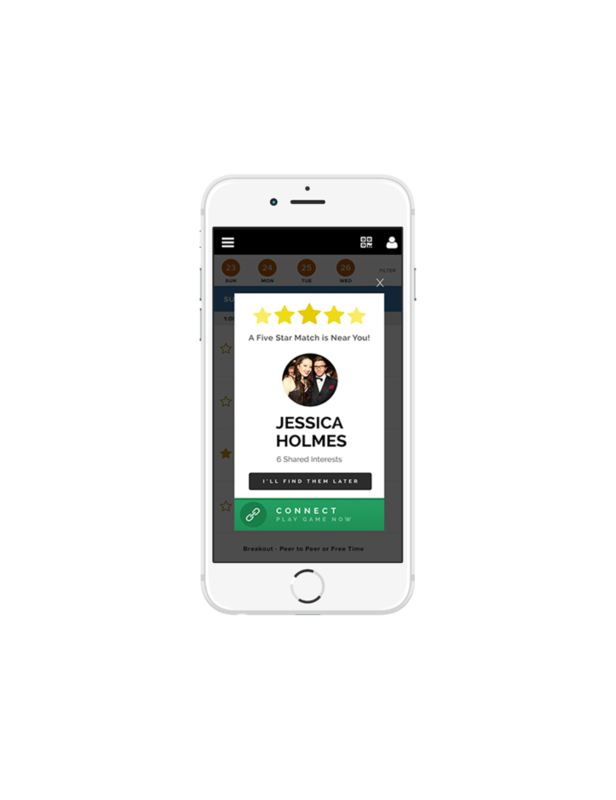 You can help your event app users identify their best networking matches based on the information they provide or custom criteria you create. Your attendees can access a list of potential networking targets in their app, which takes the guesswork out of networking. 6. Proximity Networking – When it comes to next-level networking technology, proximity networking steals the show. MeetingPlay combines attendee matchmaking lists with wearable iBeacon technology to alert attendees when they’re close to a match on their connection list. It’s effortless networking brought to your attendees via cutting-edge event app technology. When your attendees leave happy and fulfilled, they’ll be more likely to share their experience and attend more events. You’ll be able to increase your attendance, attract more vendors and sponsors, and generate a better return on your investment. And it all starts with mobile event app networking. Are you ready to create valuable connections for your attendees? Reach out to us today to discuss our custom event app features.